The Tacuinum Sanitatis is a Latin adaptation of the Taqwīm as‑siḥḥah, or Maintenance of Health, a medical treatise written by the Christian Arab Ibn Butlan of Baghdad in the 11th century. The approach is strictly classical, long on moderation, especially balancing the four humors. The manuscript survives in dozens of copies, mainly from the 14th and 15th centuries. Most were illustrated. 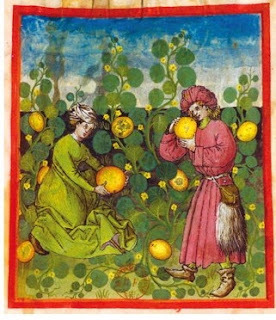 The treatise covers many topics but my favorite illustrations all come from the section describing the medical effects of various plants. At the top, Wormwood, from the Austrian National Library, ONB Cod. Ser. n. 2644, made in Northern Italy, c 1380-1400. 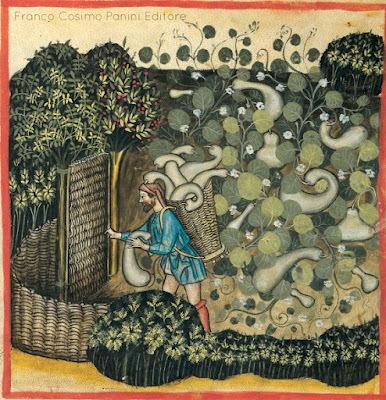 Above, Squash, from a 14th-century manuscript in the Biblioteca Casanatense, Rome. 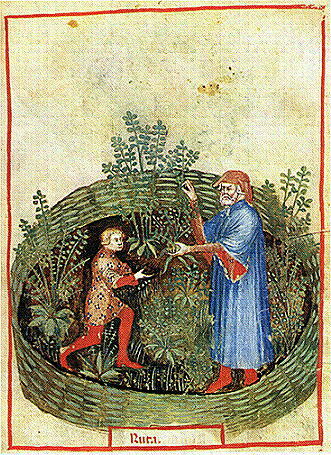 Figs, from the ONB manuscript. No idea. Doesn't look like any plant I know, and I don't recognize that Latin word. Also from the ONB manuscript. More figs. 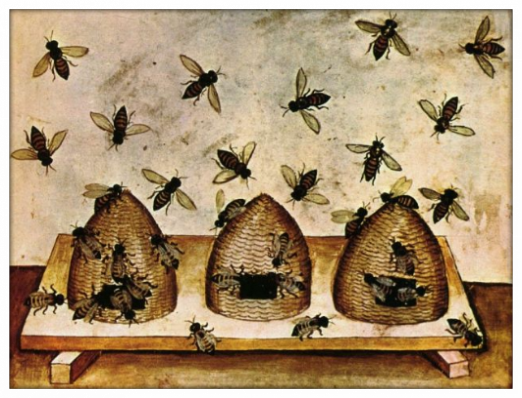 From a manuscript in Liege, c. 1380-1400. Melons. BNF NAL1673, early 15th century. Cabbage. 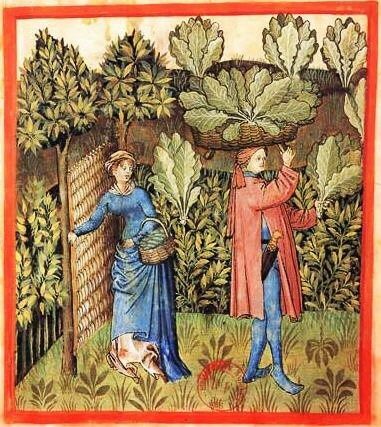 From a manuscript in the British Library, c. 1400. Rue. from the BNF manuscript, early 15th century. 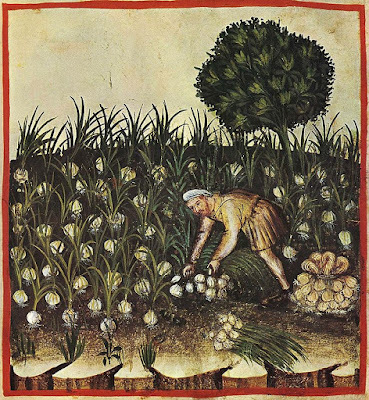 Garlic, from the Biblioteca Casanatense manuscript, 14th century. Somebody had clearly never seen a lemon.